The application was today launched by Railway Minister Piyush Goyal as the Modi government completes four years in office. New Delhi: Worried about overcharging by railway caterers? Passengers can now check the maximum retail price (MRP) of food items on IRCTC's newly-launched "Menu on Rail" application and be sure that they are not taken for a ride. 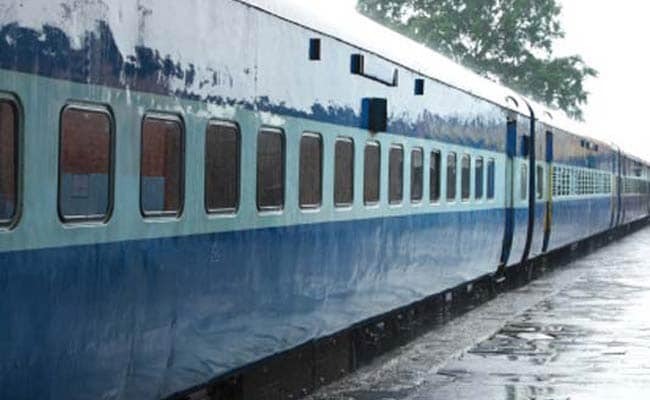 'Menu on Rail' will display menu to passengers travelling in Mail/Express, including Humsafar Train, Rajdhani, Shatabdi, Duronto, Gatiman Express and Tejas Express, the railways said in a statement. The food items are covered in four categories namely, beverages, breakfast, meals and a-la-carte. The rates (inclusive of taxes) for standard food items are given for trains as well as stations (excluding food plazas and fast food units), it said. The app will also display pre-booked food items for EC (executive chair car) and CC (AC chair car) classes in case of Shatabdi trains and 1A, 2A and 3A classes for Rajdhani and Duronto trains, the statement said. pre-booked food items for Gatiman and Tejas Express will also be displayed in the mobile application. Menu will also given for trains running late, it said. The app can be used on laptops or computers as a website version of the same has been made available. The initiative is latest in a string of measures by the national transporter faced with complaints of overcharging by caterers. The railways had earlier directed that the passengers need not pay for the food they purchase on trains, if no bill was issued by the vendor. Additional PoS (Point-Of-Sale) machines were deployed in several trains for the same. The railway minster also launched 'Rail Madad' application to expedite and streamline passenger grievance redressal. The Rail Madad--Mobile Application for Desired Assistance During Travel, allows passengers to lodge complaints through mobile application/web platform, and enables them to check real-time feedback on the status of redressal of their complaints. The application allows a passenger to register a complaint with minimum inputs. A unique ID is issued thereafter. It then relays the complaint online to relevant officials for immediate action. The action taken on the complaint is then relayed back to the passenger through SMS, the railways added.